This is an original background overlay element from the Disneyana Studios production of Alice in Wonderland. 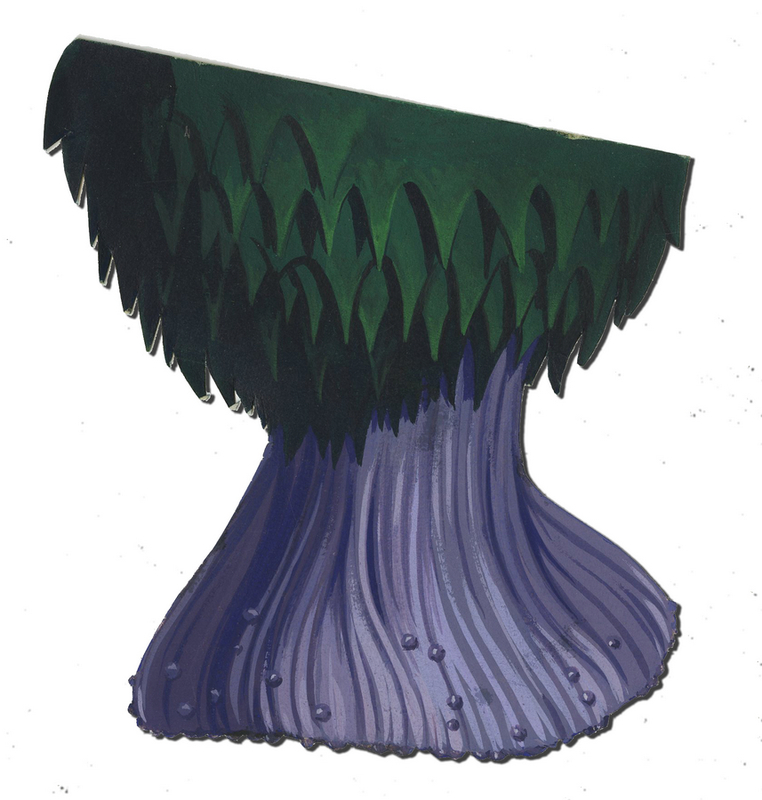 This element is one of the unique plants from the film, and was created at the studio and used during the production of the film. The overall measurements of the piece are 4" x 4.5" and the piece is in great condition.